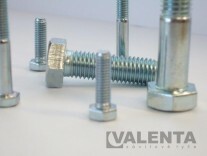 Bolts and screws with metric thread - Valenta ZT s.r.o. 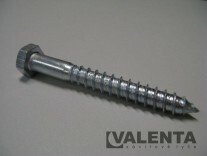 We stock a large number of screws with metric thread. We have hex bolts according to DIN 931 and hex screws according to DIN 933 both in class 8.8. 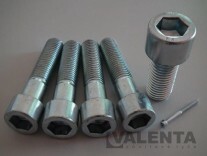 We also have carriage bolts with round head according to DIN 603 and coach screws according to DIN 571. All these screws are zinc galvanized for corrosion protection.